There’s a lot of buzz on social media about a rather unconventional treatment for migraine. Some patients are choosing to treat migraine or other headache disorders by ear piercing. More specifically, a daith piercing, which is a piercing of the innermost cartilage fold just above the opening to the ear canal. The theory is that an acupuncture point located here, when pierced, produces the same pain relief results as acupuncture. In mid-2015, “A ‘Piercing’ New Alternative for Migraine Relief” was published on a student-run website, The Purchase Journal(ism). 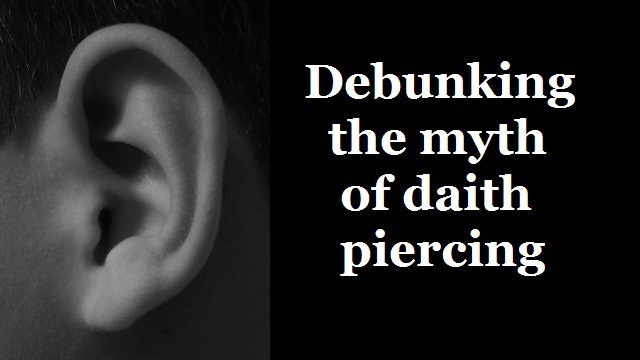 It cited no studies or clinical data to support the idea that a daith piercing was effective or safe. The article quoted a nurse practitioner from a local neurology clinic and the owner of a tattoo parlor who offers ear piercing services. 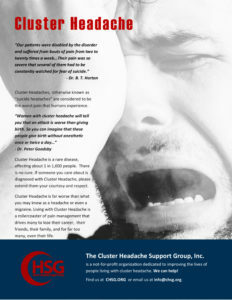 There is not a single piece of evidence from a board-certified headache specialist. In my opinion, this article is a poorly-researched “puff piece” that makes a mockery of true migraine research studies. A journalism student should know better than to rely on such weak sources. Unfortunately, sensational quick fixes tend to spread like wildfire. Daith piercing is no exception. Desperate for relief, some migraine patients have jumped at this slim chance. Facebook and Twitter groups have sprouted up in support of this “treatment.” I’ve been tagged in articles referencing daith piercing several times by well-meaning friends and loved ones. I’ve received messages from patients who chose to get this piercing. They claim it has reduced the headache pain of migraine. Interestingly, I have yet to hear from anyone who has experienced long-term (greater than 6 months) elimination of migraine symptoms. It is not uncommon to experience a strong placebo effect from any new treatment. This effect wears off over time, so it can take several weeks or months to actually see the true results of a treatment. I am confident that daith piercing is no different. Part of the appeal, I believe, is that this option is presented as an inexpensive alternative to acupuncture. The trouble with this claim is that it is not widely supported by practitioners of Traditional Chinese Medicine. Although treatment of the ear is common in acupuncture, there is no acupuncture point in the innermost fold just above the ear canal opening. It is also unlikely that anyone offering ear piercing is well-trained enough in TCM to correctly identify an acupuncture point. If one did manage to pierce through an acupuncture point, that piercing is more likely to permanently damage the acupuncture point rather than stimulate it in a healthy way. …if you are looking for effective treatments for migraine, unless you have been through the 100+ preventive treatments listed in this article (which would take more than 25 years) – Migraine and Headache Prevention – So Many Options, giving each of them a fair trial, you might want to think again.